- Mark Twain, in About Barbers. 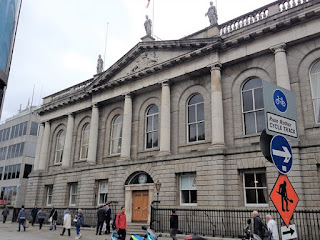 All I learnt about barbers from Mark Twain was about to be proven wrong during my up close and personal tour of the Royal College of Surgeons in Ireland (RCSI), graciously provided by Frank Donegan, Head Porter of RCSI. 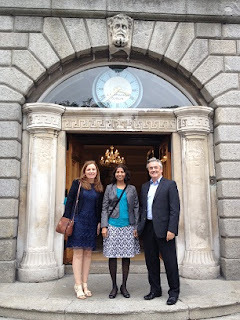 A big thank you to my gracious hosts, Siobhán McCarthy and Ciarán O'Boyle from the RCSI Institute of Leadership. It was fun talking to your students and faculty about building a career in health care quality improvement and patient safety. 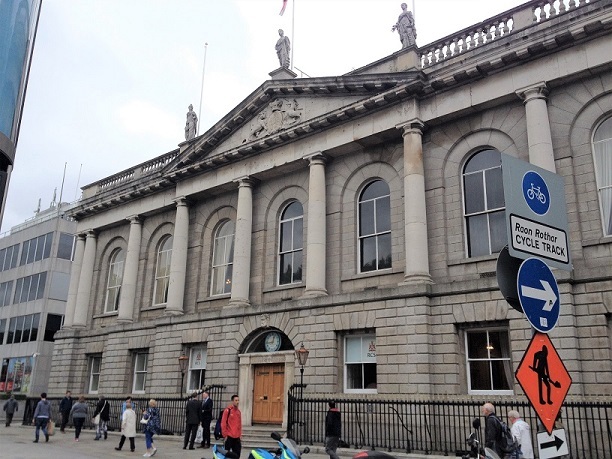 The historic RCSI building on St. Stephen’s Green was seized by rebels of the 1916 Easter Rising. Reminders of the revolution can still be seen here in bullet holes in the façade of the building and in a door that I found myself standing too close to. 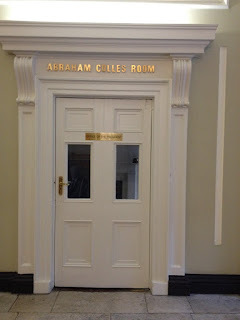 Having been the unfortunate victim of a Colles’ fracture when I was 8 years old, I attempted to gain some closure on that traumatic experience by visiting the Abraham Colles Room at RCSI. Colles was elected president of RCSI in 1802 when he was only 28 years old, where he served as a professor of anatomy, surgery and physiology. Perhaps the most intriguing part of my tour was learning about the history of the barber-surgeons. Back in the good old days, barbers provided haircuts, trimmed and shaved beards and heads, picked lice, and cleaned ears. Barber-surgeons were medical practitioners who did all of this, and additionally performed bloodletting and minor surgeries, cut out hangnails, set fractures, lanced abscesses, administered enemas, pulled teeth, conducted autopsies, and embalmed the dead. Bloodletting as a skill was in hot demand back then, and was used to treat a whole host of maladies, such as fevers, headaches, and constipation. 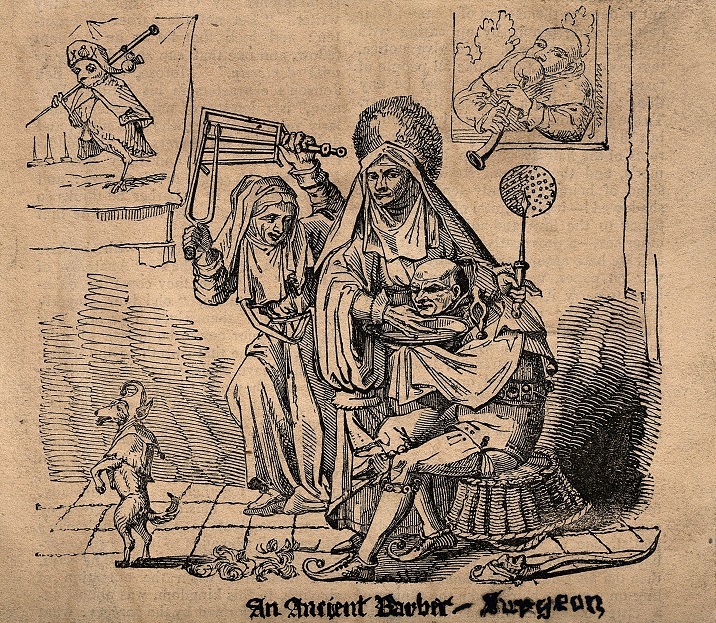 Although barber-surgeons frequently had no formal education, they were training through rigorous apprenticeships, some lasting up to 7 years. 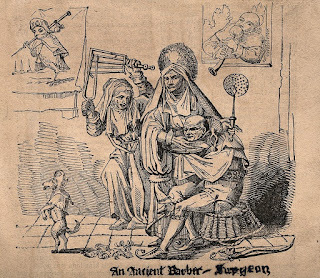 Barber-surgeons were a popular bunch, since they ran a one-stop shop and their prices were considerably cheaper than those of physicians. To advertise their services, barber-surgeons placed bowls of their patients’ congealed blood in their windows. However, this grossed out some people, and in 1307 a law was passed in London that declared that “no barbers shall be so bold or so hardy as to put blood in their windows”. Instead they were ordered to discard the blood into the River Thames! 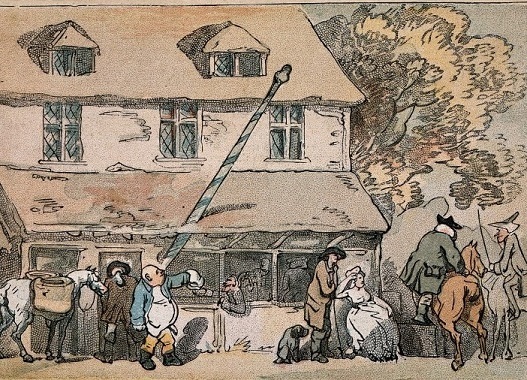 The barber-surgeons then devised the barber pole as a way of advertising their services. The pole represented the staff that the patient gripped tightly during bloodletting to make their veins more visible. A brass ball at the top symbolized the container that collected blood. The red and white stripes on barber poles signify bloodied and clean bandages used during procedure. In 1540, the Fellowship of Surgeons and the Company of Barbers were integrated by Henry VIII to establish the Company of Barber-Surgeons. The surgeons demonstrated their elevated status by wearing long robes. Barber-surgeons wore short robes and were known as “surgeons of the short robe”. The barber-surgeons’ guild negotiated contracts to prevent other craftsmen from encroaching upon their scope of work and ensured the delivery of high quality services by employing inspectors to verify skills of its members. 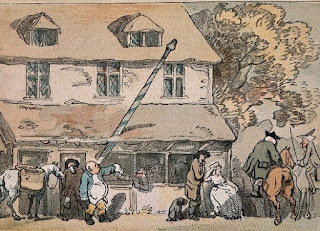 In 1745 the two groups split up due to ongoing tensions, and barbers who cut or shaved hair were no longer permitted to perform surgery. 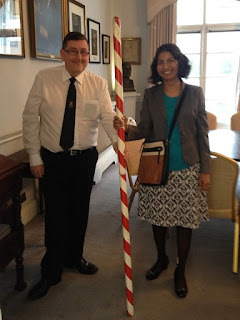 To distinguish their services, barbers used blue and white poles, and surgeons used red and white poles. Our local barber in Davis has a red, white, and blue barber pole outside his door. My interpretation is that he is proud to be American. Another more common interpretation is that red symbolizes arterial blood, blue represents venous blood and white represents bandages. Spinning barber poles move in a direction that symbolizes the downstream flow of red arterial blood. And finally, here’s a little tidbit that nicely illustrates the eccentricities of the medical world. 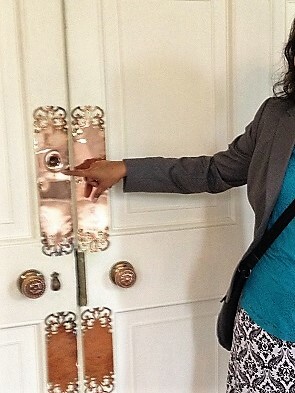 Since many physicians back then believed tasks such as bloodletting to be beneath them, those with university medical degrees who treated patients through more cerebral methods referred to themselves as “doctor”. Barber-surgeons and surgeons (who back then had no formal medical education) were referred to as “mister”. This history is responsible for the still-existing curious practice in the United Kingdom and the Republic of Ireland, where new doctors are called Doctor but once they become surgeons, they go back to being addressed as Mr., Miss, Ms., or Mrs!